Pure essential oils are natural products that can be used in massage, body care, baths and essential oil burners. Essential oils are extracted from flowers, seeds, roots, fruits and leaves from dozens of plants, and they are used in aromatherapy for their many therapeutic properties. Some oils can relieve muscle aches and pains, some oils are calming and some are energizing, and many oils are antiseptic and antibacterial. There is a wide variety of essential oils on the market: where to find essential oils and how to check their quality? Aromatherapists use oils in massages, beauty treatments, creams and lotions. You can also use essential oils at home in baths and in burners and diffusers, or make your own massage and body oils. Study the properties of different oils before trying them at home, and make sure you know which oils are safe to use on the skin and which oils should only be used in burners or diffusers. These oils are concentrated natural products, and they should always be blended with a base oil before applying oils on the skin. Most cold-pressed vegetable oils can be used as base oils: jojoba, sweet almond, wheat germ, peach kernel, grapeseed and many others are suitable. To make a body oil or a massage oil, add 1-3 drops of your chosen essential oil(s) to each teaspoon of base oil and mix well. If you want to find good quality pure natural oils, it is best to buy your oils from aromatherapy companies or other professional companies that sell therapeutic grade oils. There are many oils on the market that are diluted with cheaper oils or adulterated with synthetic fragrances. It is not easy to tell the difference between a pure and synthetic oils by smelling the oil, because many synthetic fragrances can smell very similar to pure oils. Labeling can also be confusing and sometimes even misleading. 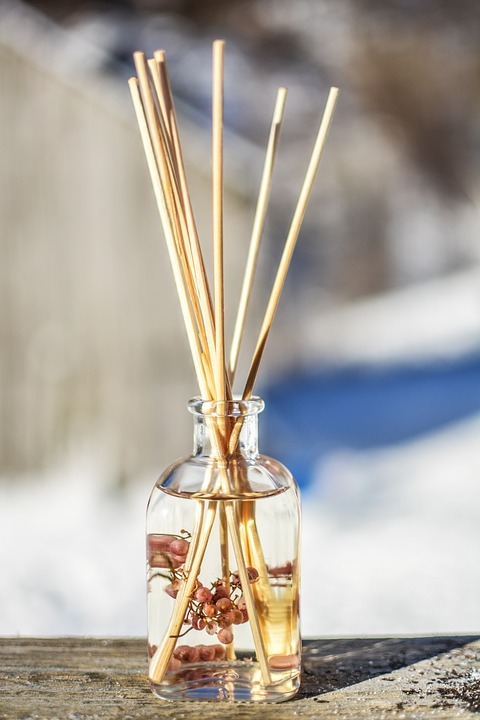 For example nature-identical oils are not the same as pure, natural oils: nature-identical oil or a fragrance oil can contain added fragrances and synthetic materials. Professional aromatherapy companies usually test their oils for purity and quality and provide certificates. It is important to know the botanical name (the Latin name) for each oil that you are buying. The Latin name will tell you exactly which plant the oil has been distilled or extracted from. There are often many varieties of the same flower or the same tree, but only one contains the best quality oil that can be safely used in aromatherapy.